Ximena Carolina Ortiz-Gonzalez - Spanish Lawyer, International Legal Consultant, Relocation Services, International Property - Dr. Claudia Ortíz Fonseca & Abogados, London, UK. 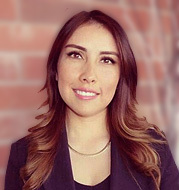 Ximena Carolina qualified as a lawyer from Universidad Autónoma Bogotá, D.C., Colombia, in 2014. During her vocational training in 2009 and 2010, she undertook advanced additional studies in constitutional law and procedural law. Currently, she divides her time between Colombia and Canada, where she is developing her legal education even further. Before joining our firm, Ximena Carolina worked as a lawyer at Servicios Jurídicos Internacionales (2014). She has been a member of our firm as a legal consultant since 2015. Her professional practice focuses on commercial and immigration law.